Even if you do not know Will Van Zee’s name, you have seen his work. As the owner of Van Zee Sign Co., he is responsible for some of the city’s most striking (and functional) art. 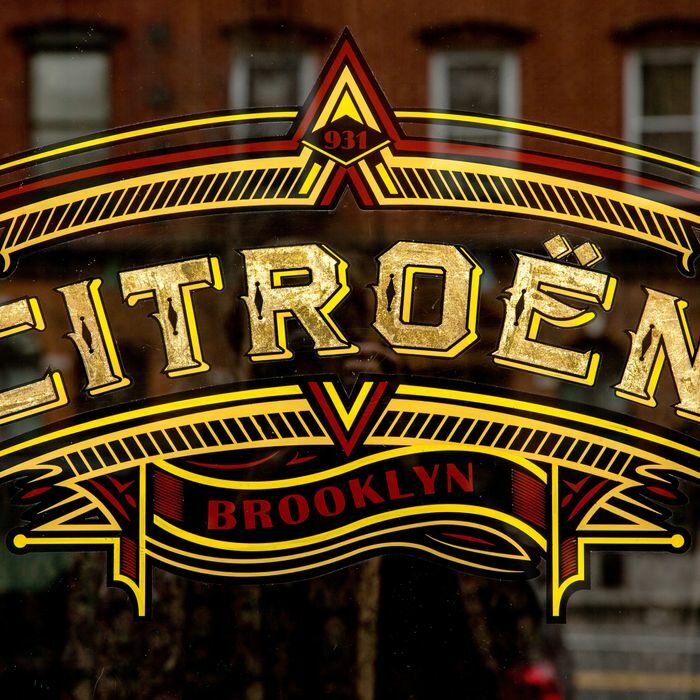 Van Zee’s ever-growing body of work includes, for example, the ornate lettering that adorns the exteriors of various locations of OddFellows ice-cream shops; the hand-painted logo of the Hungry Ghost café at the corner of Church and Reade Streets in Tribeca; the energetic, curlicue lettering at Madcap Cafe; and the bold, all-caps CALYER café logo in Clinton Hill. 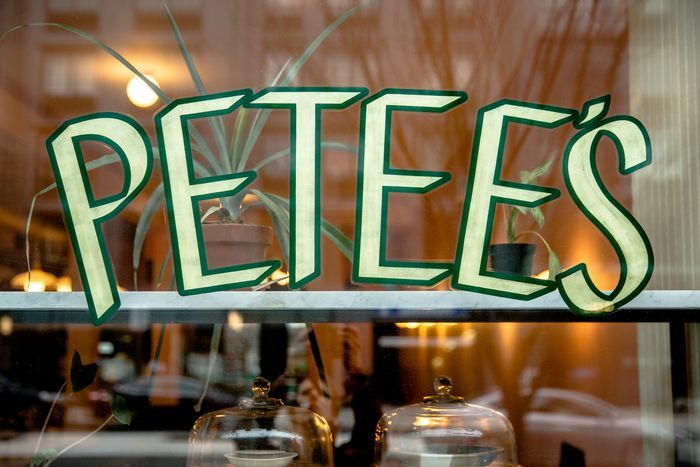 “Our signage needs to communicate that what we’re doing is continuing a long-standing tradition,” says Robert Paredez, a co-owner of Petee’s Pie Company and a client of Van Zee’s. “What Will does fits that bill perfectly.” Van Zee’s work is reminiscent of that of the socially engaged muralist Stephen Powers, who owns ESPO’s Art World. Paredez isn’t alone: As nondescript glass skyscrapers sprout across the five boroughs, small-business owners in New York (and especially in — you guessed it — Brooklyn) know that designing their restaurants, bars, and cafés with an eye to the city’s history is perhaps more important than ever. And for Van Zee and a small army of similarly specialized designers, that means business is booming. “There came a moment, living in New York, where, as far as I could tell, mom-and-pop businesses were choosing to look like chains,” says Dane Risch, whose Crown Heights bar, King Tai, is named for the Chinese restaurant that once stood in the same space. “And by that I mean this constructed minimalism with small elements of color.” For his own restaurant, Risch says he drew on inspirations from mid-century Miami to create a vintage, pastel look. In areas where gentrification is inevitable — which is to say, all of New York City — making what is at least a small effort to fit in with the neighborhood is a way to ensure that the city won’t lose all of its charm or history, even as storefronts continue to turn over. 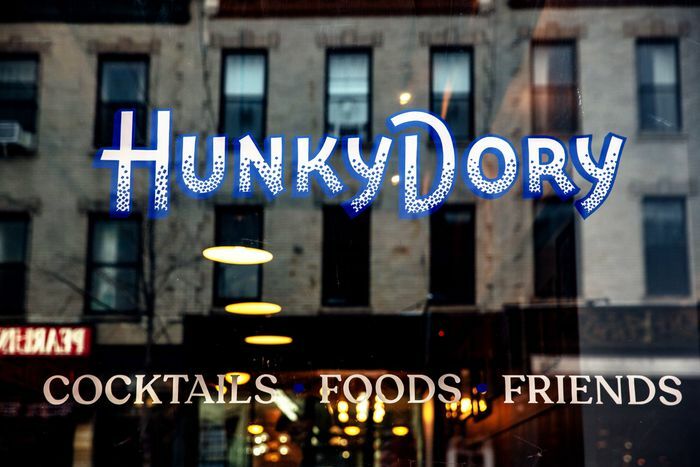 At Claire Sprouse’s new Crown Heights restaurant, the warm, ’70s vibe extends to exterior signs designed by Charles & Thorn. At their Clinton Hill pie shop, opened last year, Petee’s serves things like lemon-curd chess pies and banana-cream icebox pies. “Pie has been an important element of New York for decades, and we are now a part of that,” says Paredez. 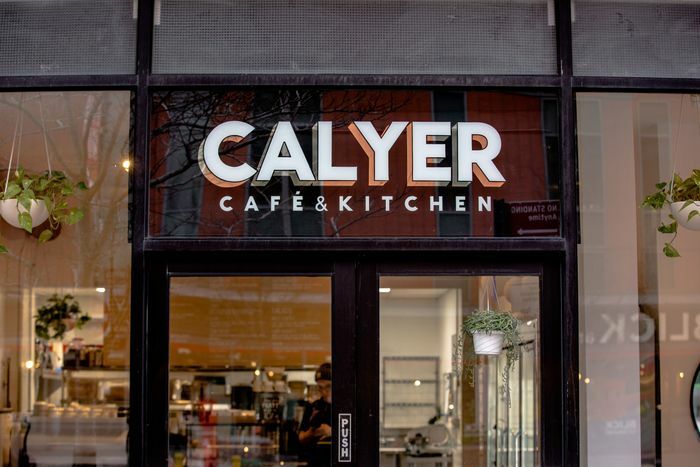 Located in rapidly gentrifying Bed-Stuy, Zenat Begum opened a coffee shop with a political mission at the site of her father’s former hardware store. 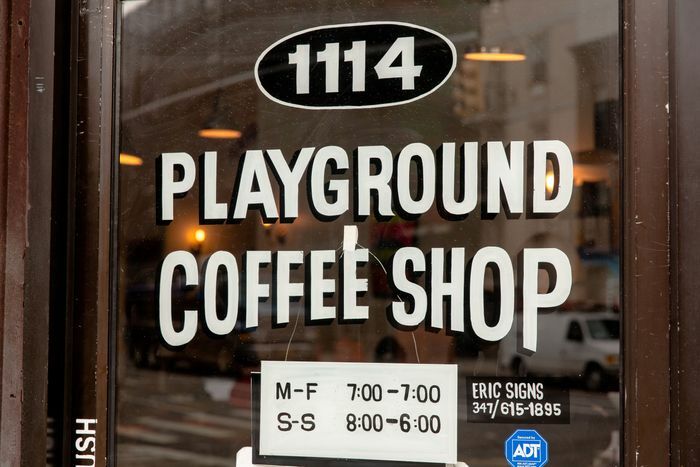 Playground Coffee’s sign was designed by her boyfriend and inspired by street culture and the zines sold in the back of Playground. 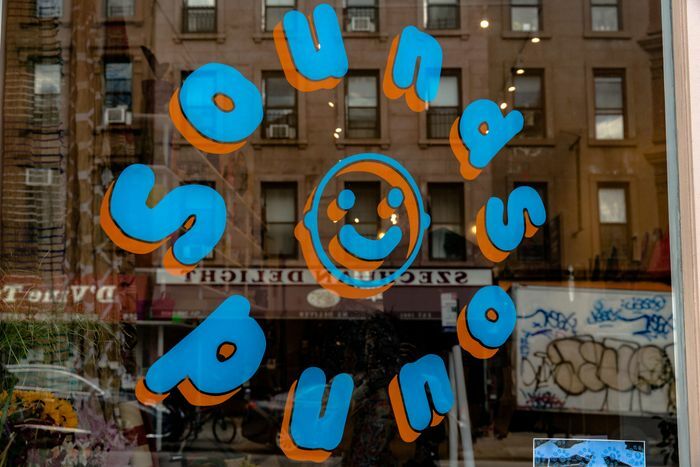 6At Sounds, a new home-goods store and café in Park Slope, guests are greeted out front by joyful, Comic Sans–esque lettering in Mets colors that is as lighthearted as the ceramics, rugs, and plants sold within. The design is in what Van Zee says the industry refers to as “Plug” style, which originated in the ’70s on delivery trucks that legally had to list their addresses. This inspired quick, hand-painted designs that were legible and easy to replicate.